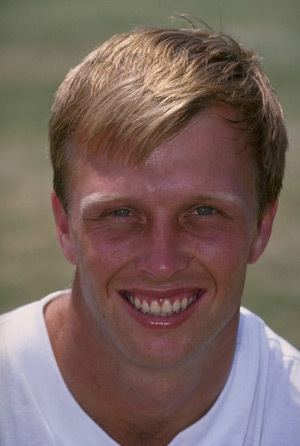 Brett Nolan Schultz (born 26 August 1970 in East London, Cape Province) is a former South African cricketer who played in nine Tests and one ODI from 1992 to 1997. During the course of his career, he also played for Eastern Province, Western Province and Gauteng, previously Transvaal. 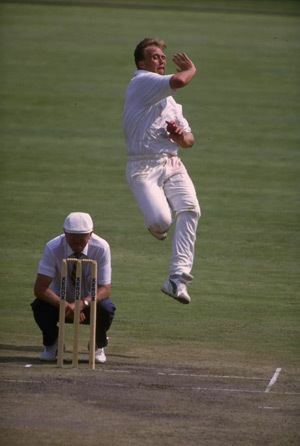 Schultz’s fast-paced left-handed bowling caused major problems for both right- and left-handed batsmen, evidenced by the 20 wickets which fell in the three-Test series against Sri Lanka in 1993-94, his debut tour. Described in 2013 by the Indian Express as “one of the most intimidating opponents in world cricket”, Schultz made his mark on the world stage despite his career being plagued by injury. While he only lasted nine Tests, the "Bear", as he was aptly named for his menacing demeanour on field, added excitement and character to the cricket pitch and an air of tension for batsmen and fans alike whenever he thundered towards the bowling crease. Following his cricketing career, and after a stint as owner of All Bar None on Bree Street, Cape Town, Schultz turned to business. He is now a Director at short-term insurance specialists, Econorisk, an independent South African-based risk and insurance advisory business. 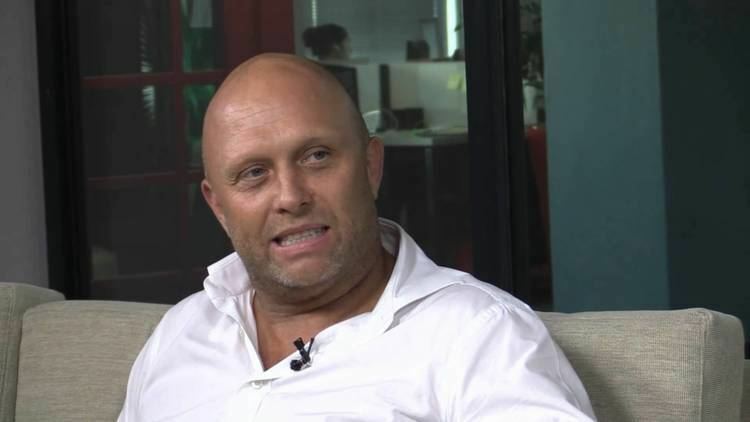 Schultz now resides in Cape Town with his fiancé Georgina Swain and has a daughter, Skye. Brett Schultz is actively involved in supporting a number of charitable organisations including TEARS Animal Rescue, SOS Children's Villages SA and Acres of Love. Brett and Econorisk support the Breatheasy Programme at the Red Cross War Memorial Children’s Hospital, a program for parents of children reliant on tracheostomy or artificial ventilation for breathing. In November 2016, a fundraiser, initiated by Brett and sponsored by Econorisk, raised R108,000 for the Breatheasy Tracheostomy and Ventilation Homecare Programme and the Red Cross. In March 2017, Brett, together with volunteers from Econorisk and elsewhere, spent a night in a TEARS Animal Welfare shelter kennel for a second time with a rescue dog, to raise money for the charity and to help find homes for some of the many dogs and cats which have been saved from a life of homelessness and abuse. In 2016, the Sleepathon raised over half a million South African rand for TEARS. In March 2016, Brett was an Ambassador for the inaugural Cape Town Cricket Sixes where their CSR initiative 'HitPovertyforaSix' aims to enhance awareness and accessibility to the sport for those less fortunate. The second such event took place on 18 and 19 February 2017 at the Green Point Precinct. The Rugby and Cricket Legends teams, managed by Brett, joined 59 other teams competing across two days in seven leagues. Brett continues to be an Ambassador for the Cape Town Cricket Sixes. In 2014, Brett cycled the Cape Argus Pick 'n Pay Cycle Tour with his partner Georgina Swain to raise money for SARDA (South African Riding for the Disabled). Brett and Econorisk have also actively supported a South African-based Equestrian dressage Paralympic hopeful on her journey towards competing for South Africa in the 2016 Summer Paralympic Games in Rio de Janeiro, Brazil.